IT PAYS TO BE AN ELEVATOR MECHANIC! Want to make six figures? Having a career as an Elevator Mechanic among other surprising jobs such as a Loan Officer, Casino Manager and Makeup Artist could pay up to that amount! 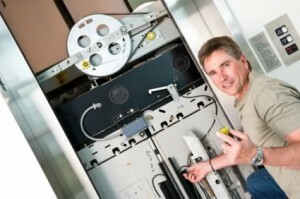 The average annual salary for the top 10 percent of elevator mechanics makes $101,390!